Strengthen verbal communication skills by taking speech communication courses. Enhance writing skills through additional coursework in business and marketing. Acquire an internship with a PR firm. Be prepared to start at the bottom and work up to higher positions. 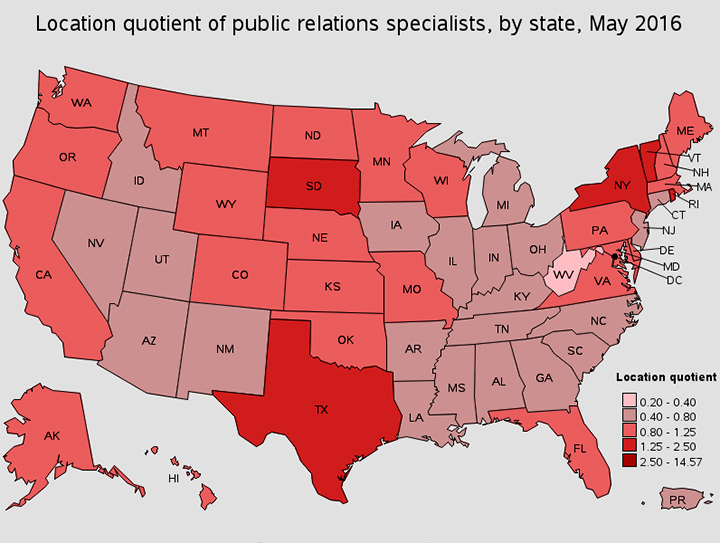 Consider a master’s degree in PR for higher level positions, especially at the executive level. Learn to work well with teams. Secure federal internships in a field of interest. Get experience with student government or political campaigns. Consider graduate programs in Public Policy/Affairs. Enhance language skills and cultural understanding through study abroad programs. Gain experience by volunteering with organizations that provide assistance to various cultural groups. Direct marketers work with the customer through mail, magazines, radio, or TV to get an immediate response by telephone, mail, or fax. Take general business and computer courses. Consider earning a graduate degree in business. Obtain sales and marketing experience. Work within college sports administration and marketing. Get experience through volunteering for non-profit agencies, museums, and charities. Obtain internships with non-profit organizations. Gain experience planning events for campus organizations. Consider additional degrees such as MPH (Master of Public Health) to enhance employability.